Organic Adzuki Beans | Got Sprouts? Organic Adzuki beans taste great in Asian desserts and add flavor and substance to soups, stews, bean patties, hummus, and pastes. They have a light, sweet and nutty taste. 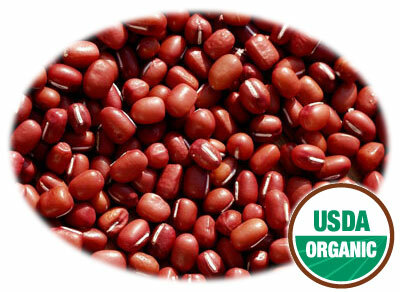 Adzuki beans are an excellent source of antioxidants, essential nutrients, vitamins, and minerals. They’re packed with protein, fiber, folate, manganese, phosphorus, potassium, copper, magnesium, zinc, iron, thiamine, vitamin B6, riboflavin, niacin, calcium and more! Adzuki beans are small oval beans that are reddish brown in color with a thin, white line down the side. They are native to East Asia and were brought to the U.S. in the mid 19th century.